“Man in the street”, “common man” – Average/ordinary/typical citizen/person – but is there such a person? The policy also dictates that the phrases “homosexual” and “heterosexual” should not be used as they are “laden with the values of a previous time”. That is, a time when people had morals, and were not so depraved as to revere depravity as an end in itself. 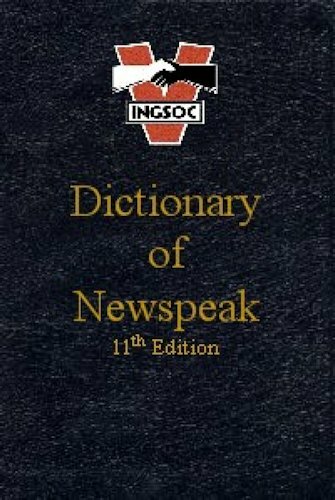 Revise your copy of the Newspeak dictionary accordingly. Only by restricting language can we restrict thought to within politically permissible parameters. Over ninety percent of the universities in the United Kingdom restrict free speech on campus, and such restrictions are growing in America. Soon thoughtcrime will be inconceivable, because we will not have the words to express it. Achieving this objective will require gradually limiting the vocabulary to ever fewer words.